This morning’s name: salsify (the plant and its edible taproot), with Swiss chard (the leafy green) as a bonus. Tragopogon, also known as salsify or goatsbeard, is a genus of flowering plants in the sunflower [Asteraceae or Compositae] family. It includes the vegetable known as salsify, as well as a number of common wild flowers, some of which are usually regarded as weeds. 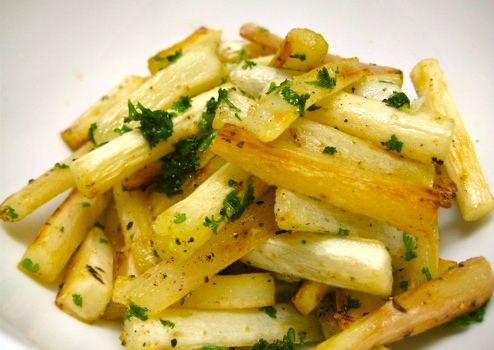 The vegetable called salsify is usually the root of the purple salsify, Tragopogon porrifolius; the root is described as having the taste of oysters (hence the alternative common name “oyster plant” for some species in this genus), but more insipid with a touch of sweetness. [Many describe the taste as “nutty” rather than like oysters.] 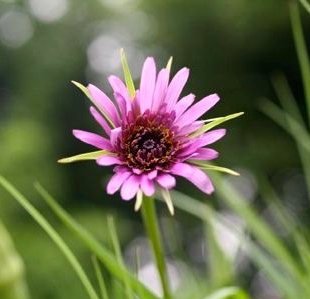 The young shoots of purple salsify can also be eaten, as well as young leaves. 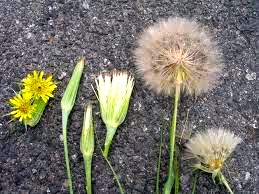 Other species are also used in the same way, including the black or Spanish salsify, Scorzonera hispanica, which is closely related though not a member of the genus Tragopogon. or pureed as a soup. In both cases, they are often combined with similarly treated carrots. Salsify and carrots are culinarity quite similar, but are botanically distant (a composite and an umbellifer, respectively). Chard (Beta vulgaris subsp. 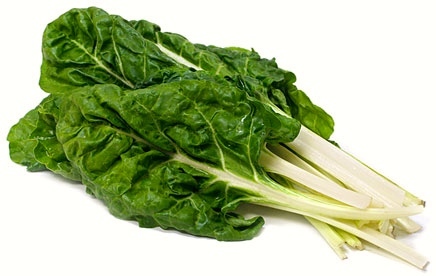 vulgaris, Cicla-Group and Flavescens-Group), is a leafy green vegetable often used in Mediterranean cooking. In the Flavescens-Group-cultivars, the leaf stalks are large and are often prepared separately from the leaf blade. 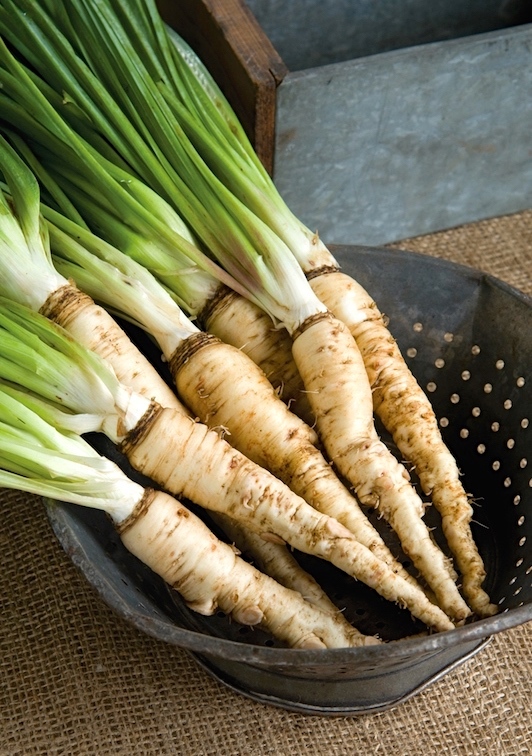 [The stalks are typically sautéed]. The leaf blade can be green or reddish in color; the leaf stalks also vary in color, usually white, yellow, or red. Chard has been bred to have highly nutritious leaves and is considered to be one of the most healthful vegetables available, making it a popular addition to healthful diets (like other green leafy vegetables). Chard has been around for centuries, but because of its similarity to other beets and some other vegetables such as cardoon, the common names used by cooks over the centuries can be quite confusing. 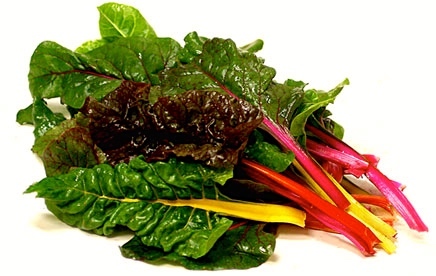 … Chard is also known by its many common names such as Swiss chard, silverbeet, perpetual spinach, spinach beet, crab beet, bright lights, seakale beet, and mangold. In South Africa, it is simply called spinach. … The word “chard” descends from the fourteenth-century French carde, from Latin carduus meaning artichoke thistle (or cardoon, including the artichoke). The origin of the adjective “Swiss” is unclear, since the Mediterranean plant is not native to Switzerland. Some attribute the name to it having been first described by a Swiss botanist, either Gaspard Bauhin or Karl Heinrich Emil Koch (although the latter was German, not Swiss). Whatever the history of the name, Swiss chard is now entirely at home in Swiss kitchens. Chard and spinach are culinarily very similar (and this shows up in the naming patterns above), but unlike salsify and carrots, they are botanically in the same family, the Amaranthaceae, though they are not especially close. This entry was posted on March 9, 2015 at 5:32 am and is filed under Language and food, Language and plants, Names. You can follow any responses to this entry through the RSS 2.0 feed. You can leave a response, or trackback from your own site. I know it’s not unusual for the same common name to refer to multiple plants (mostly a result of regional variation, I suppose), but I was slightly taken aback by “goatsbeard”, which I only knew as referring to the ornamental perennial Aruncus. I put chard in everything in sight myself … it grows nicely yearround in the backyard here. I didn’t encounter the word “salsify” until the last few years (probably less than 10), and I’ve never encountered the vegetable salsify. So whenever I see the word, I think it’s a verb. The story I heard about Swiss chard is that it was considered “poor man’s” cardoon, and that the term ‘Swiss’ was a mild epithet, like Dutch courage. Hence Swiss chard. I have no idea if there is any truth to that, but it’s an amusing story. What I also find amusing culinarily is that many American recipes call for the leafy greens and discard the stalks, while many European recipes call for the stalks and discard the greens. Happily, both sides are learning to eat the whole thing, one way or another. Vegetarian friends of mine refer to the stalks as chard bones, and love cooking with them.